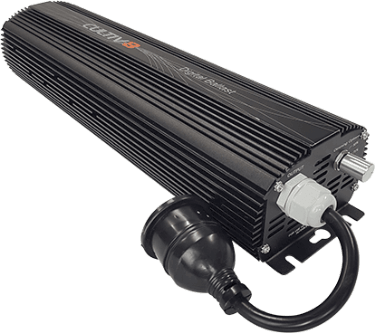 The Cultiv8 1000 watt digital ballast comes sealed in a custom designed enclosure complete with air fins, to help disperse heat. Operates in a wide voltage range. When the voltage varies the ballast is able to adapt to maintain a constant lumen output.